different locomotives in steam over the weekend. 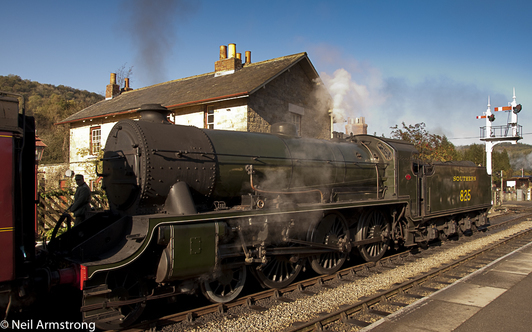 Our home fleet will include “Standard Class 4”, 76079 and “Standard Class 4 Tank”, 80136. “B1 Class” 61264 and “Black Five Class” locomotive, 44806 will also be running. 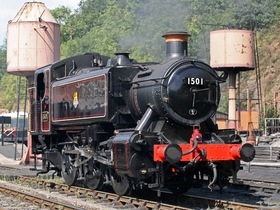 The heritage railway will be welcoming some new faces, including 5199 from Llangollen Railway*, along with 1501 and 7714 from the Severn Valley Railway, which are all sure to bring that welcomed western feel. 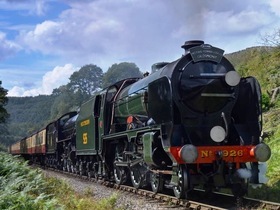 This will be the first time that the NYMR has had two visiting Pannier Tanks, which will be a great photo opportunity to see, as they travel across the North York Moors, double headed. SR No. 926 “Repton“ will also be making a return after overhaul. She has been running in her British Railways colours and numbering as 30926 but will return to traffic in Southern Railways Olive Green under her old number 926. The locomotive has an unusual history following its withdrawal from Basingstoke in December 1962, after almost 29 years’ front line service. It was subsequently purchased privately and restored at Eastleigh by 1966, before being exported to Steamtown in Vermont, USA. From here the locomotive was loaned to the Cape Breton Steam Railway in Canada where it was given certain modifications to meet exacting North American running conditions, including a cow catcher and higher sides to its tender. In 1989, it was sold again and repatriated to the UK, where it was returned to steam, and a more familiar British outline, on the NYMR. We also hope to have appearances from “Black Five Class”, 45428 “Eric Treacy”, The North Eastern Railway (NER) “Class P3” and “Q6 Class” 63395, which are all undergoing overhauls at the moment. 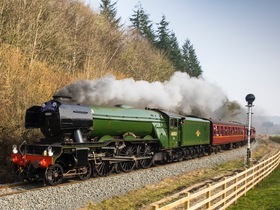 During the weekend stations along the line will be hosting exciting events of their own such as the Autumn Steam Gala Beer Festival which sees Levisham and Goathland offering a wide selection of real ales from local breweries such as Brass Castle, Helmsley Brewing Co, Baytown and many more. What’s more, there will also be a variety of traction engines on display, the steam crane will be operating and break van rides in a freight service will be running during the weekend. Passengers will also get the chance to listen to live music by;The Incredible Dr. Busker well known in the world of preservation and steam rallies at Goathland Station on Sunday evening. 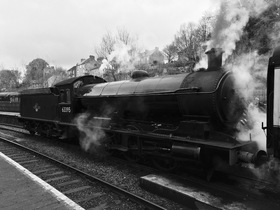 Tickets for the Annual Steam Gala are now available at nymr.co.uk/annual-steam- gala.